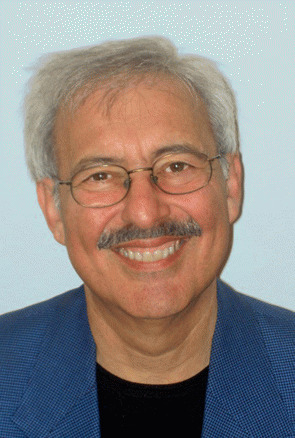 Steve Bhaerman, aka Swami Beyondananda, is an internationally known author, humorist and workshop leader. 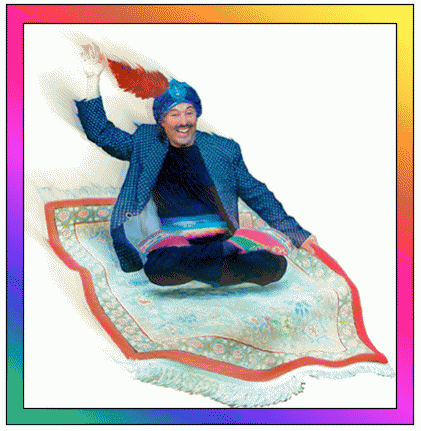 Since 1990, he has written and performed as Swami Beyondananda, the "Cosmic Comic." As the Swami, Steve is the author of Driving Your Own Karma (1989), When You See a Sacred Cow, Milk It For All It's Worth (1993), Duck Soup for the Soul (1999) and Swami for Precedent: A 7-Step Plan to Heal the Body Politic and Cure Electile Dysfunction (2004). Swami Beyondananda will deliver an online, updated version of his 2013 State of the Universe Address on Monday, April 1st at 5:30 pm US Pacific time / 8:30 pm US Eastern time. (UPDATE: 7500 listeners attended from 50 countries. The show was recorded, and it will be rebroadcast on Wed. April 3. 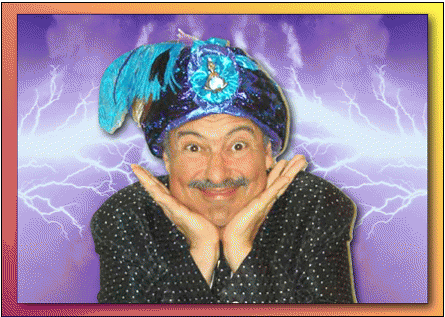 To listen, go to the webcast or dial 206-402-0100 [find your local number here] and enter the PIN 498523#) Beginning on April 15th, Steve and Swami will be conducting an 8-week teleclass for the Shift Network on The Alchemy of Humor to help you develop YOUR cosmic comic consciousness ... so that you not only wake up laughing, but you leave laughter in your wake. Info here. MAB: Thanks for joining us, Steve. I've enjoyed many presentations by your alter ego, Swami Beyondananda, and I'm looking forward to asking him a few questions later, but first I'd like to ask you, how did you get started with the Swami, and with your unique focus on spiritual humor? SB: I like to say I got struck by enlightening during a brainstorm. And then another funny thing happened. SB: The new guy they teamed me with turned out to be a brilliant psychologist disguised as a truck driver. He suggested that we start an anonymous, humorous paper for the guys at the shop, and it changed my life. It helped me realize the power that humor had to open both the heart and the mind. I realized I was good at it. Later when another friend and I began publishing a holistic publication called Pathways, the fictional Swami Beyondananda had an article, or mock ad in every issue.The first one was a parody of the old Famous Artists School, "We're looking for people who want to draw ..." Our ad was for "Famous Gurus School:" "We're looking for people who want to draw ... on higher consciousness." The "testimonial letter" said "Dear Swami ... Loved your leadership training, please send followers." The Swami quickly became the most popular feature in the paper, and we followed up with "Teach Your Dog to Heal," "Everything You've Always Wanted to Know About Sects," "Tantrum Yoga" (use your anger to heat your home) and many others. After we stopped publishing, the East West Journal picked up on the feature, and I began to syndicate the columns. In late 1984, I attended a life-changing seminar that challenged me to do that which I was here to do, and I decided to pursue comedy as a full time (or better yet, "fool time") career and the rest is "mystery." Having spent my "deformative" years in New York City, my sense of humor -- while witty -- was a bit crude. When the Swami character became my vehicle, my humor naturally changed to fit the character. For example, very early on I was playing a mob-run club in Chicago as the Swami, and three inebriated guys began heckling me. I stopped, looked at them and said, "I think you are baiting me. And when you bait a great spiritual master, do you know what that makes you? That's right. A master-baiter!" Everyone laughed and the three guys slunk off ... and that's when I made another decision. While I could be insulting if circumstances required, at that moment I decided that I would cultivate venues with higher expectations. Laughing at heart-opening material requires vulnerability ... the humor that I've developed over the years is designed not just to leave 'em laughing, but to leave 'em smiling. I know you've written several books, including one with one of my favorite authors and speakers, Dr. Bruce Lipton. Can you give us a just a bit of info about your books? View All 14 Articles in "Positivity"
View All 17 Articles in "Interviews"
View All 1 Articles in "Humor"